Select Your software vendor from the list below to show only those products compatible with your software. 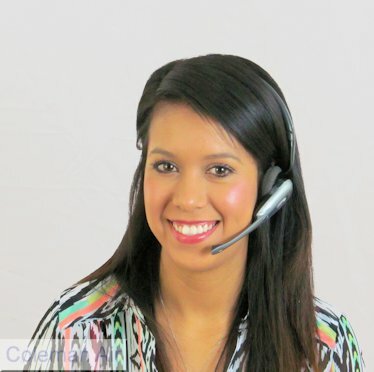 Use your accounting software,laser printer and MICR toner to produce complete checks. 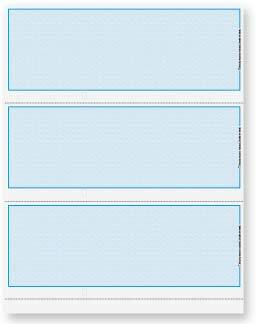 Each 8 1/2" x 11" sheet contains 3 checks, and is constructed of 24# paper. Measuring From the top down, the 1st check portion is 3.5" high. The 2nd check begins at 3.5" and is 3.5" high. The 3rd check begins at 7" and measures 3.5" in height. There is a 1/2" margin on the bottom of the sheet to make all of the checks equal. These laser checks DO NOT include a signature line. Indicate check color below. These are blank checks, your software must be able to print MICR encoding. The following vendors and/or software providers are shown to utilize this product. Copyright 2010-2017 Secure Checks. All rights reserved.